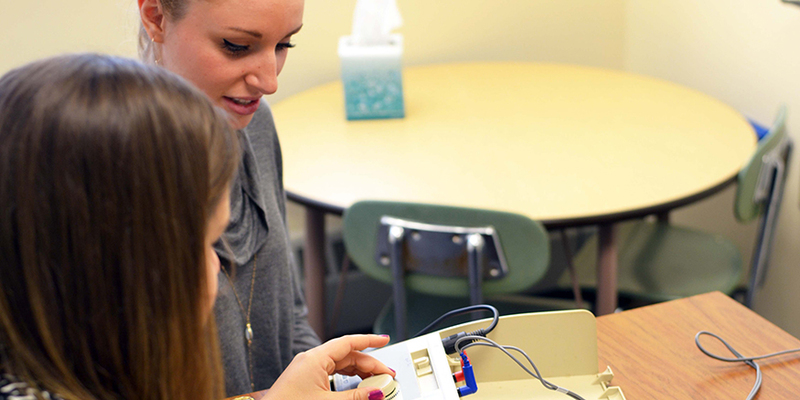 In the postbaccalaureate preclinical program, we offer eight common prerequisites that students often need to complete before beginning a graduate program in speech-language pathology or audiology. It is most typical for students in this program to have received an undergraduate degree in another field, although concurrent enrollment in these courses during an undergraduate program in another field is allowed. Coursework is offered through Continuing and Professional Education in two formats: online and onsite. Online courses are offered in different semesters than onsite courses. Tuition and fees do not differ for online and onsite programs and are set through Continuing and Professional Education. Interested students are encouraged to read our academic advising information. Students are encouraged to read course descriptions carefully to ensure that they have prior background knowledge for coursework.